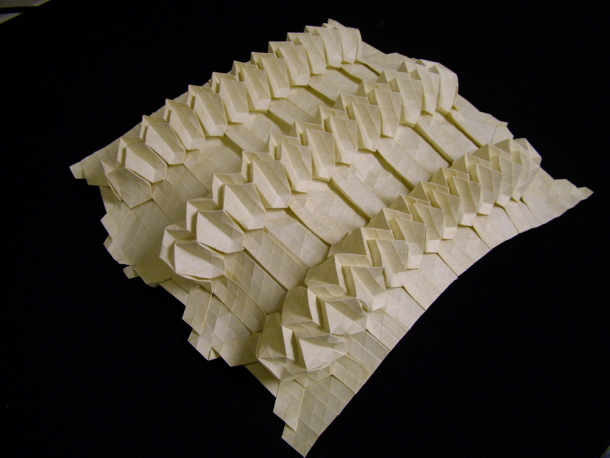 We are keeping to introduce you types of Origami. 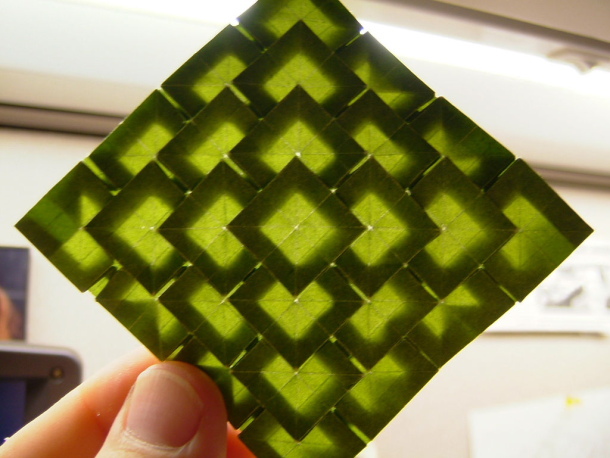 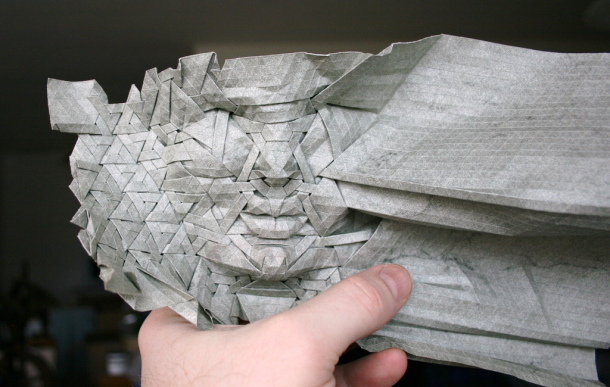 Today we will be taliking about Classic Mosaic Origami. 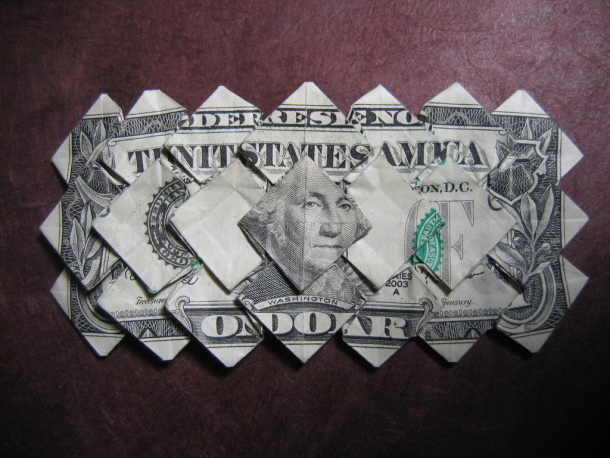 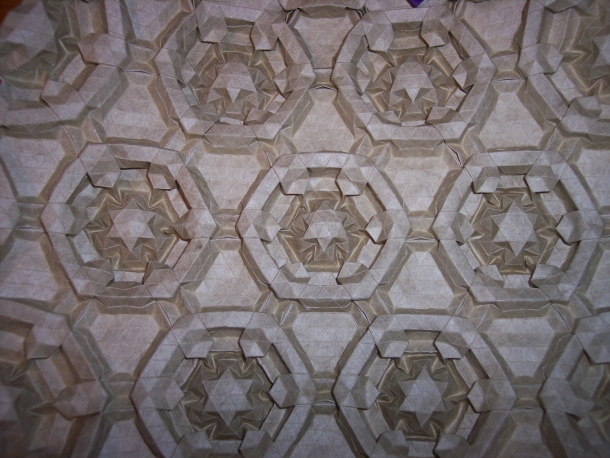 We can also divide Classic Mosaic Origami into two groups; Classic Mosaic Origami and Unit Mosaic Origami. 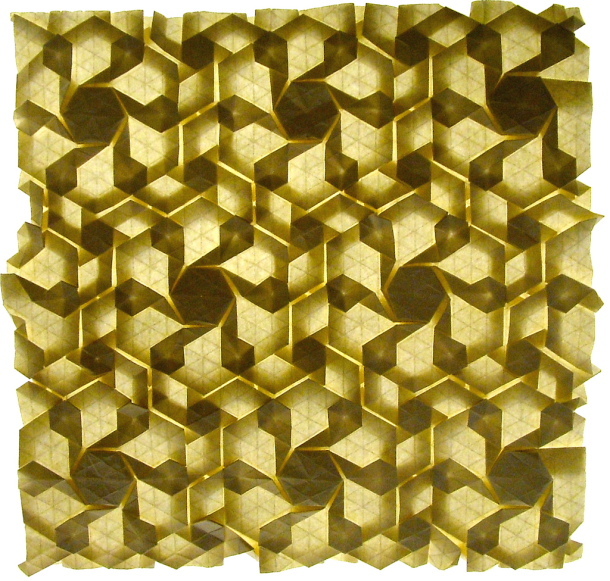 What is different in Classic Mosaic Origami than Unit Mosaic Origami is, it is made with only a piece of paper. 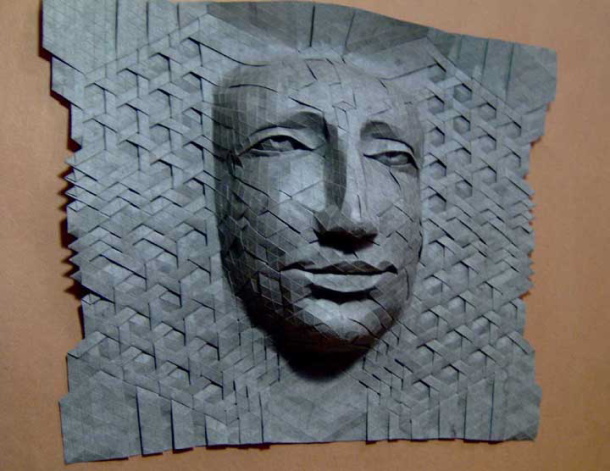 Mosaic is a kind of art that is made by adding different images on the same media. 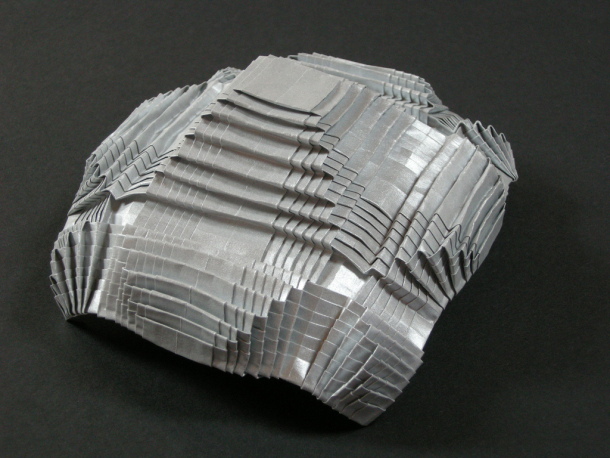 It has varieties according to shape of the materials and the resulting image. 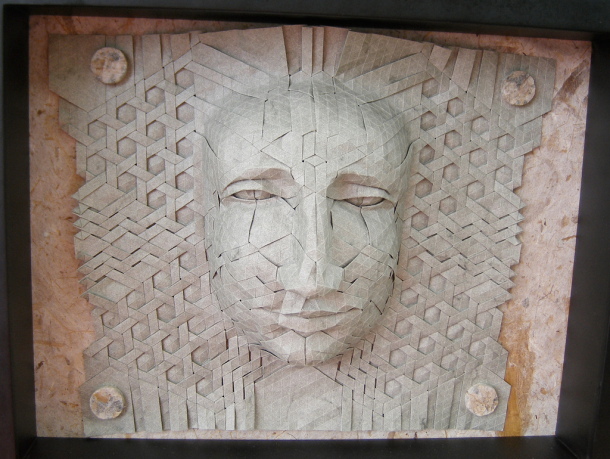 The word mosaic is derived from the word “tesseres” which means “four” in ancient Greek. 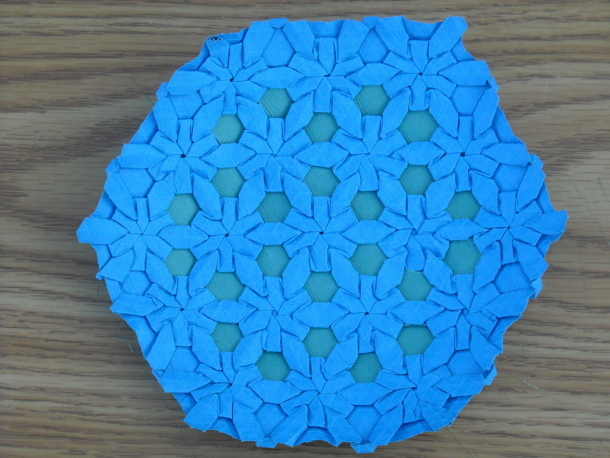 From this information we can assume that first examples were built with square stones. 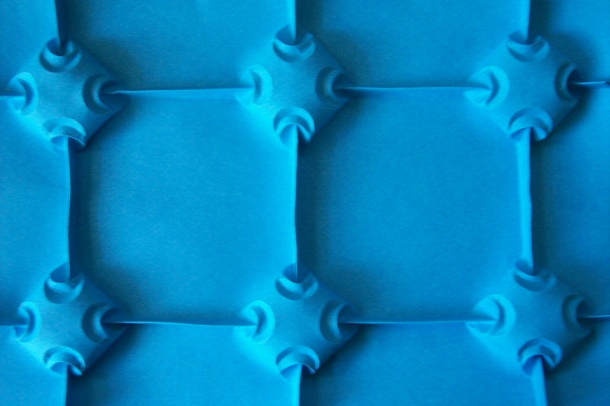 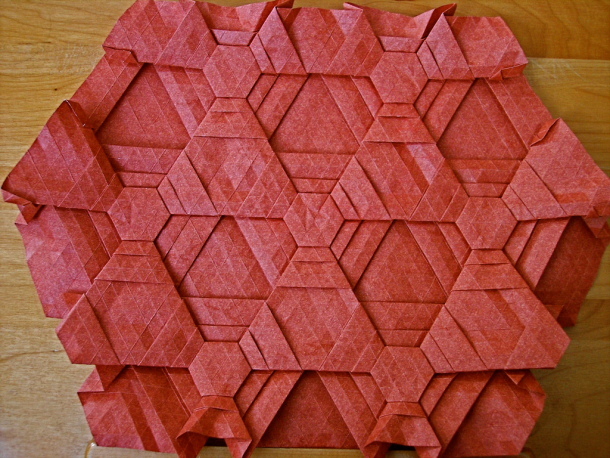 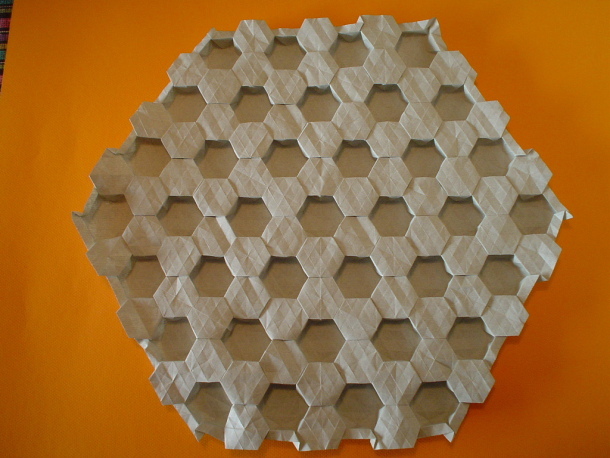 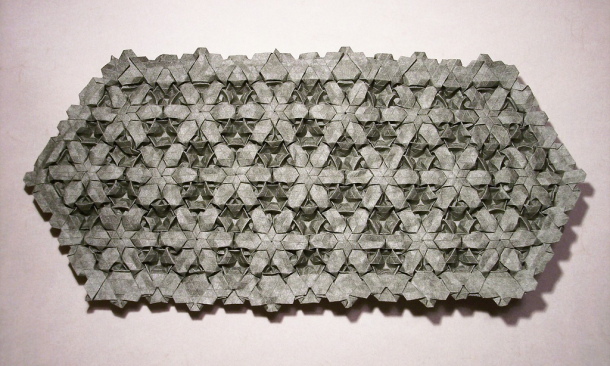 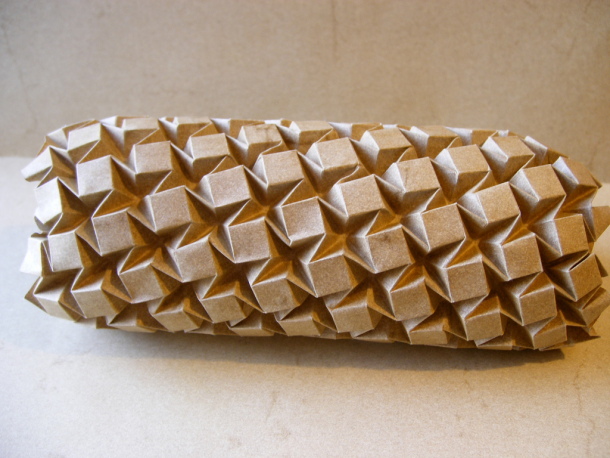 First examples for the Classic Mosaic Origami are seen in Momatani’s book;“Stretch Wall” towards end of 1960s and then Shuzo Fujimoto’s book “Seizo suru origami asobie no shotai” (Invitation to Inventive Origami). 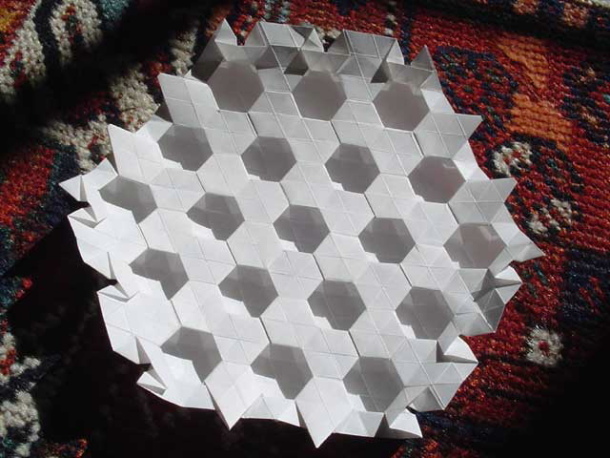 Making repetitive folds by using a piece of paper caught mathematicians’ interest. 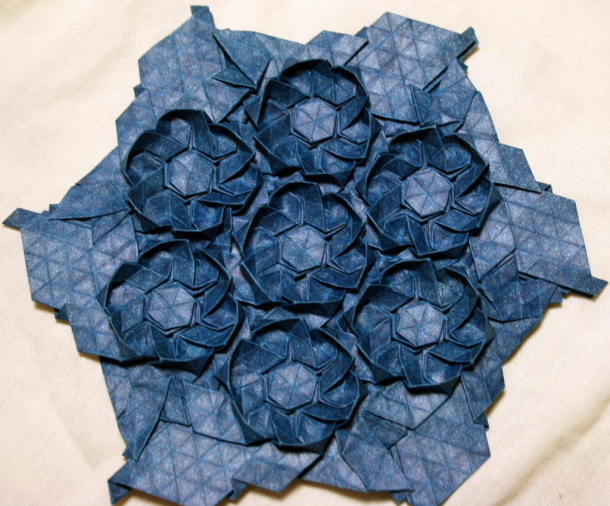 Toshikazu Kawasaki, Helena Verrill, Tom Hull ve Robert Lang are the leading ones. 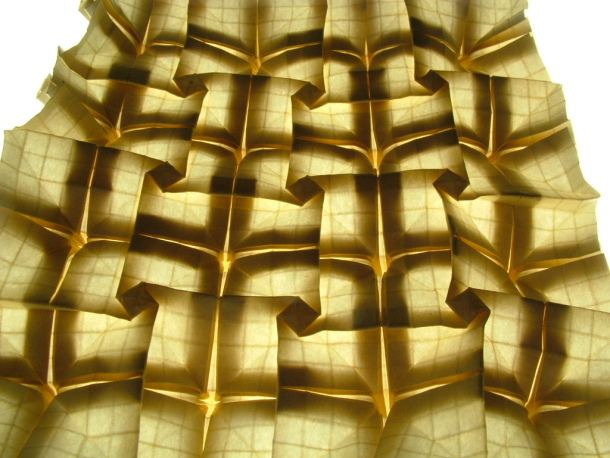 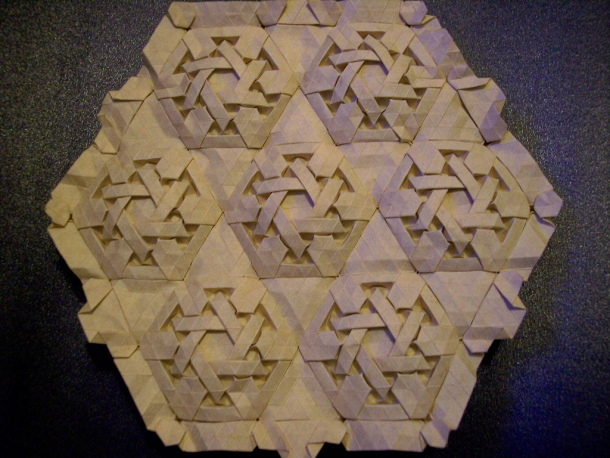 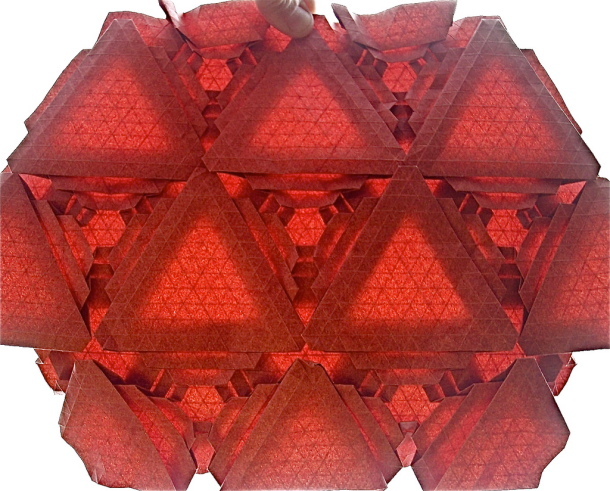 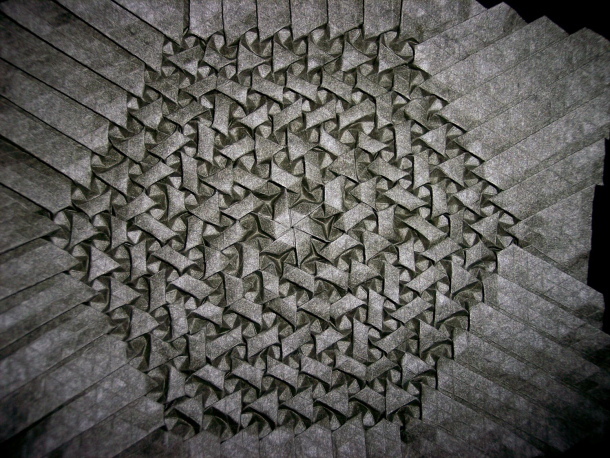 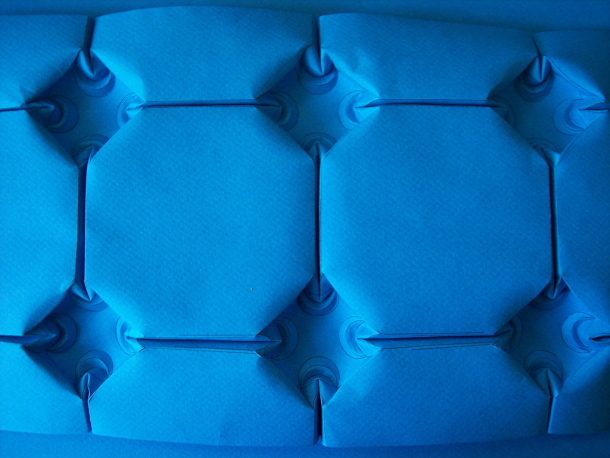 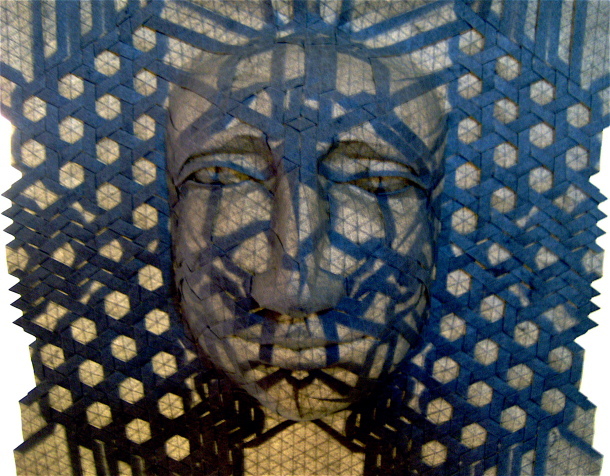 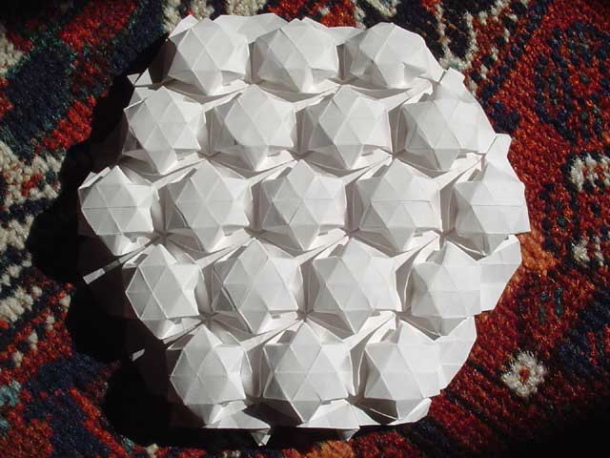 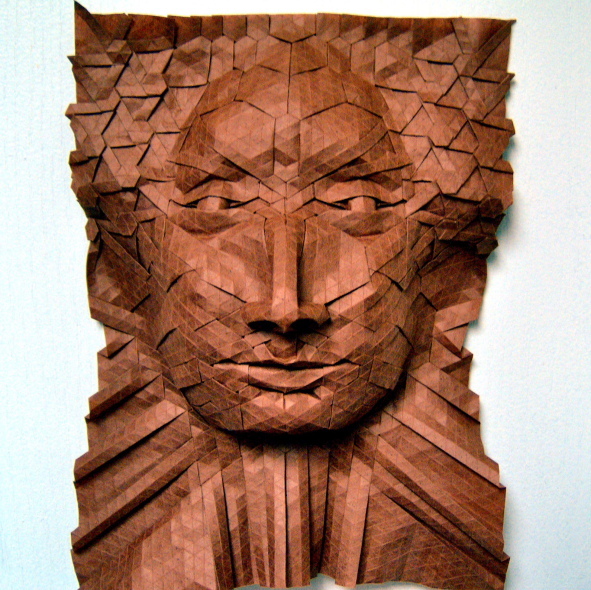 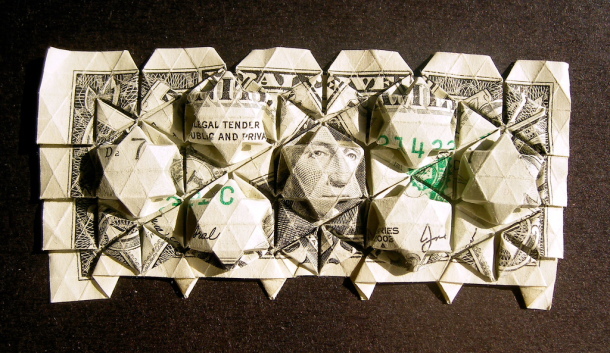 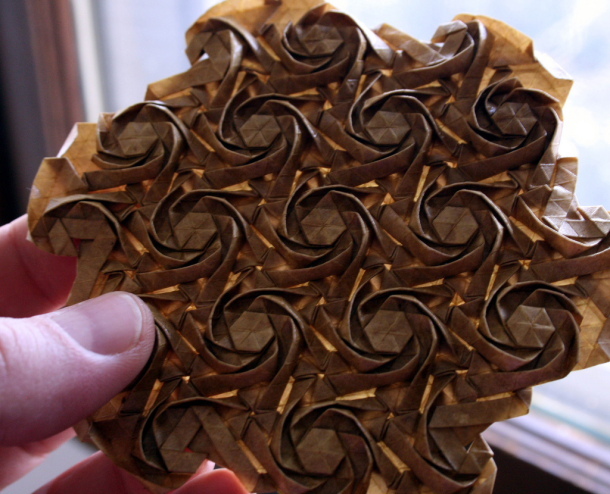 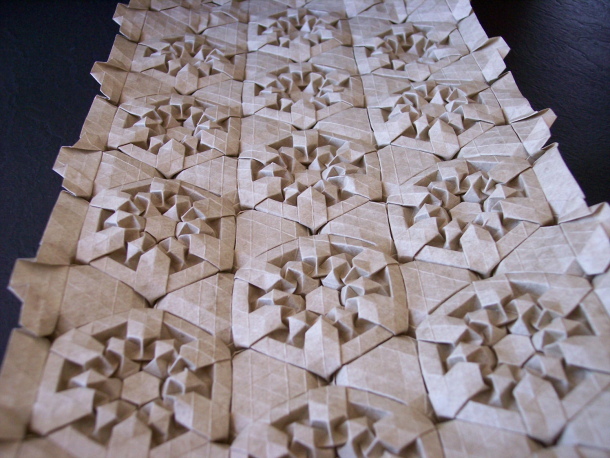 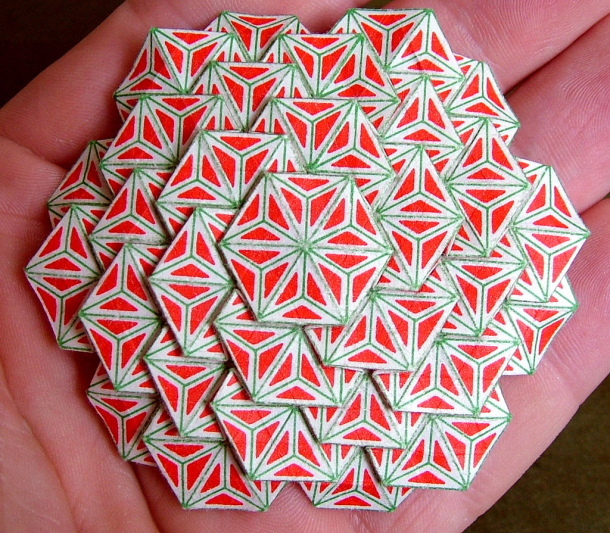 Alex Bateman has written computer a programme which produces Origami schemas. 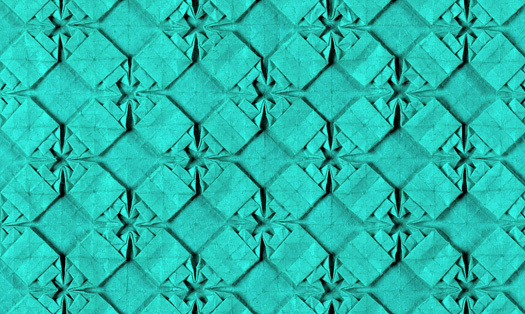 You can download this free programme and make your own design. 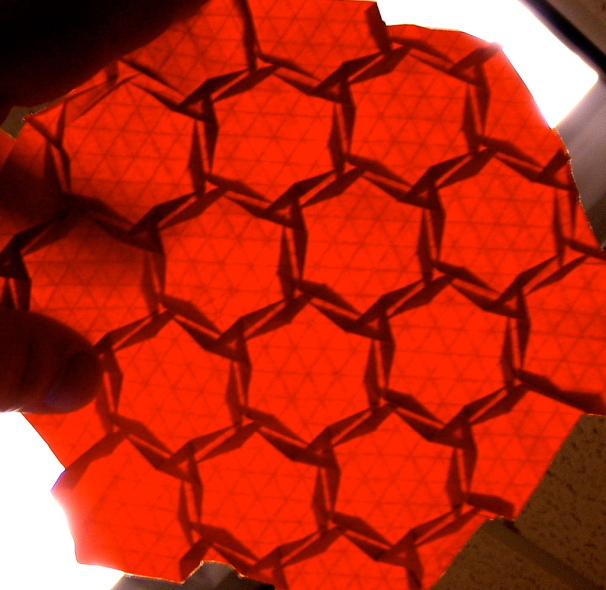 You then print it and fold your very own design.